I've been wanting the cuffed jeans for awhile...and I followed this advice from Lisa Leonard...and found the perfect jeans to cuff while in NC...at the gap outlet for $20. 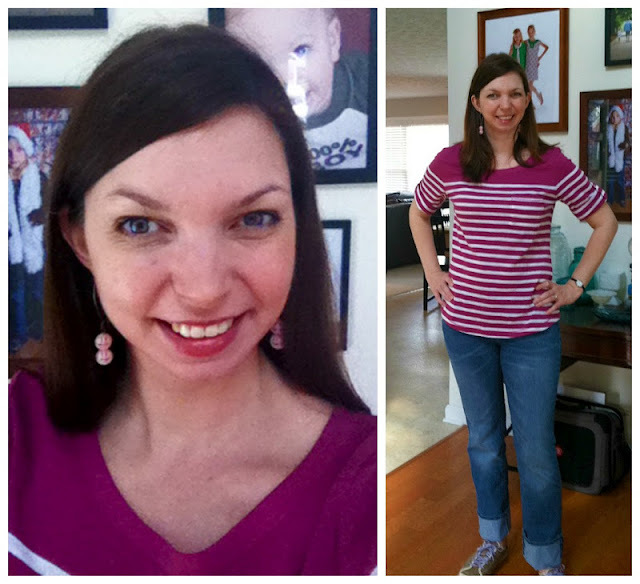 I bought a 2nd pair at the gap outlet in Commerce for $25...and then had a 30% off coupon! Yay! So I am telling you, run, don't walk, and pick yourself up a pair of these jeans. I bought the curvy straight (which seems like an oxymoron, doesn't it?) and they are perfect! you drew me in with those green moccasins...they are awesome! I love all your color combos! 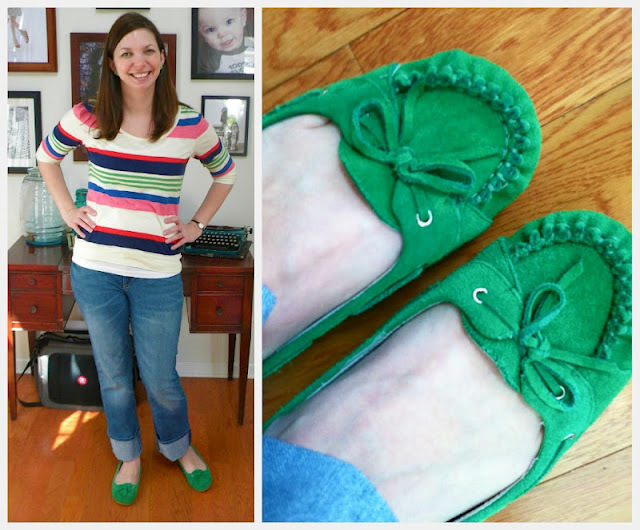 I want a pair of green flats soo bad..
LOVE your green mocassins and yellow earrings! 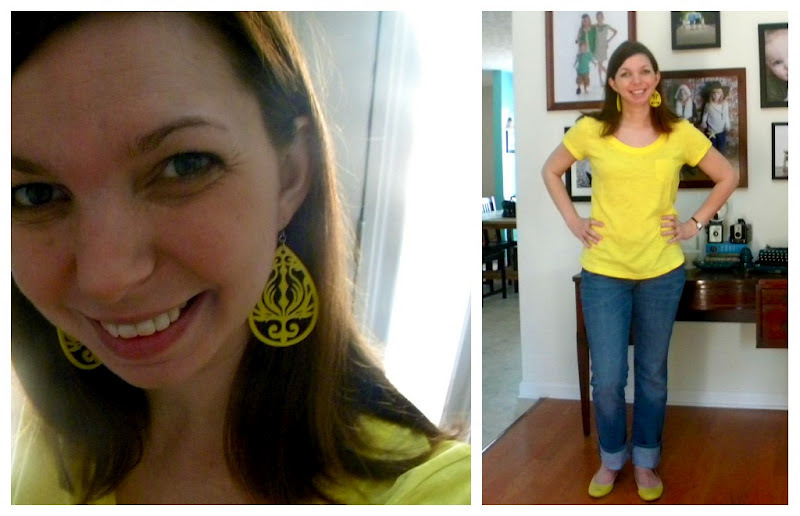 Your green shoes are adorable and the yellow earrings are too cute... they add such a fun pop of color! Love the green shoes! Great to pull the green stripes out of the Old Navy shirt. Awesome combo. i love bright colours therefore i love ALL your outfits, especially the green shoes! they are amazing!